The Stadium of Light generates a lot of noise with the PA system blasting and the Sunderland supporters really friendly. 3,000 Swans fans are in the upper tier of the north stand at one end of the stadium. The facilities and views are excellent. Food and drink on offer are fish & chips, pies, pasties, and jumbo sausage rolls. Carling, Carling cider, Worthington and wine are sold. Also a 2 pint, 2 pie deal for £12. If you’re going to do a footy weekend, there’s no better place than just up the road at Newcastle, and a good number of hotels makes this possible (way too many to list). Loads of restaurants, pubs and clubs make Newcastle a party destination, where you’re bound to encounter countless hen and stag parties. Sunderland itself has plenty of places to stay. It has a Marriott, a Best Western and a few B & B’s. The National Glass Centre (SR6 0GL) has free entry. In the Glass Studio you can watch live glass blowing with commentary. It has many exhibitions and a café. Hylton Castle (SR5 3PA) is a gatehouse-tower of a castle built around 1400 in its own grounds alongside St Catherine’s Chapel. It also has its own ghost – the Cauld Lad. Herrington Country Park (SR1 7DN) offers walks, cycle trails, environmental sculptures and more. The park is one of the largest open-air concert sites in the area and has a children’s park, designed around a local myth, the story of the Lambton Worm. Wildfowl Wetlands Trust Washington Wetlands Centre (NE38 8LE) is nearby, set in 45 hectares of wetland and woodland on the River Wear. Entry is £9.45, child entry is £4.77, senior citizens, students and unemployed entry is £7.21, entry is free for under 4’s. Family tickets cost £25.65. The Sunderland Empire Theatre (SR1 3EX) has Gangsta Granny on 10th – 14th May. Tickets for the David Walliams show are £19 – £27. Outside the South East stand there’s a Fan Zone with free entry open 3 hours before kick off and an hour after the game. There’s live bands, large screens and food and drink outlets. The ‘William Jameson’ (SR1 1RH), a Wetherspoons in the centre of town is welcoming. ‘The Albion’ (SR6 0EN) on Victor Street, is a 5 minute walk from the ground, with parking nearby; it’s friendly and has a chippy a few doors away. Two social clubs – The Sunderland Companions Club (SR5 1AH), and New Democratic Club (SR5 1AH), are both a walk 5 minute away, on the road approaching the Wearmouth Bridge on the North (stadium side) of the river. They both get very busy, and will offer a warm welcome to away fans, and serve cheap beer. The ‘Colliery Tavern’ (SR5 1EQ) is mainly a home fans pub but allows away fans in and shows football several TVs. It also has a marquee outside, also serving beer as well as a burger van. Newcastle airport is 24 miles away, the Metro runs from the airport to the stadium every 15 minutes with trips of 55 minutes. There’s limited car parking at the ground; but traffic for a few miles around the ground is pretty bad, so allow plenty of time. Alternatively, park in the city centre and walk to the ground (10-15 minutes). 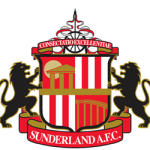 There’s free ‘Park & Ride’ on match-days at Sunderland Enterprise Park, (SR5 3XG); buses run every 5 minutes, for 90 minutes before kick-off and after the game. Trains leave Swansea at 03:34, 04:59, and 06:11 for the 8 hour trip. There are no trains back to Swansea that day; an overnight stay is needed. The station is a 15 minute walk to the stadium. Exit the station opposite Greggs, turn right towards a JJB store; walk through the gap between JJB and a nail bar. Keep walking ahead and you’ll see the stadium in 100 metres over the Wearmouth Bridge. Cross the bridge, and turn left into Millennium Way, opposite ‘The Wheatsheaf’ (SR6 0BN), a football pub that welcomes away fans with open arms; the away entrance is straight ahead. ‘Stadium of Light’ and ‘St. Peters’ Metro stations are a few minutes’ walk from the stadium, Swans fans should use St Peters as its closer to our entrance.